The quarter ends next week and that means our 3rd year students are back to give their final presentations before graduation. Today they’ll be presenting on the work they did during their 3rd year internships as well as on their MA thesis projects (listed below). Afterwards, it’s time to celebrate their graduation! We’re very proud of the class of 2014 and wish them the best as they start their careers as conservators! 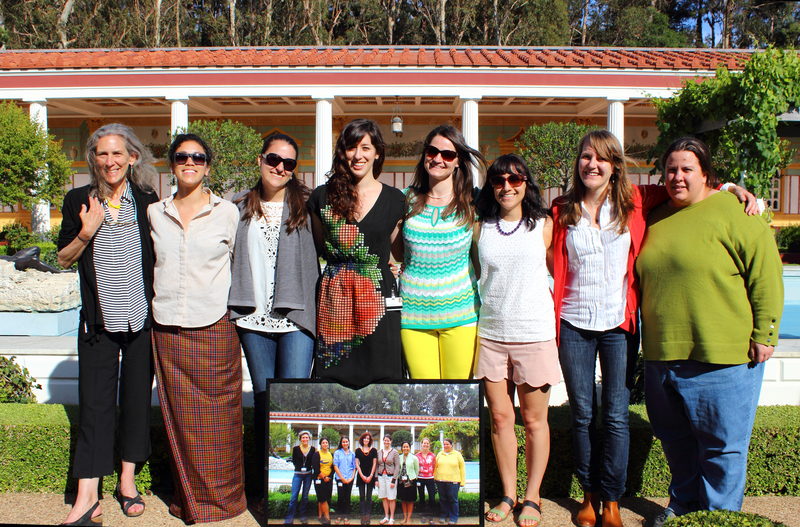 Class of 2014 on the day of their final presentations posing in front of a photo taken of them when they started the program back in 2011.